RIDGEWAY RESEARCH - Ridgeway Research is a global veterinary Contract Research Organisation, CRO, based in the UK, specialising in livestock studies for veterinary research and development. We carry out studies on vaccines, antimicrobials, pharmaceuticals and parasiticides. We help define product formulation or safe dosage for pharmacokinetics, pharmacodynamics, toxicity and residue studies. Our parasite diagnostics laboratory runs tests for worm egg counts, ectoparasites and endoparasites. We have a Biosafety Level 2 Containment Facility. Ridgeway Research are Good Laboratory Practice (GLP) accredited and Good Clinical Practice (GCP) compliant. When you need expert help with research, product development or parasite diagnosis, call us. We’re one of the UK’s leading veterinary contract research organizations (CRO). Our clients include many of the top ten global animal health companies as well as individual farmers and veterinarians. We specialise in livestock studies for research and development projects. Our studies help you register your new medicine or vaccine on time. We are Good Laboratory Practice (GLP) accredited and Good Clinical Practice (GCP) compliant. Above all, we are committed to animal welfare and excellence in veterinary science. 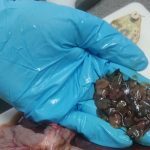 Resistant Liver Fluke Strains Now Available.4th February 2019New for 2019, Ridgeway Research are now offering three strains of Triclabendazole resistant Liver Fluke. The three strains from Kilmarnock, Stornoway and Penrith have been Fully Profiled and proven to be resistant to Triclabendazole. The strains were only isolated in 2017 and since then have been passaged twice in ovine. We have a limited quantity available so please, if you are interested please contact us soon as possible to avoid missing out. 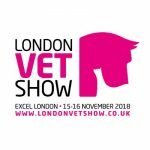 London Vet Show2nd November 2018There is an opportunity to meet with Colin Capner of Ridgeway Research Ltd at the London Vet Show in London on the 15th or 16th November. Interested? Please send us an email or phone us.